Lennon NYC is the story of one of the most famous and influential artists of the 20th Century, and how he found redemption not in the public adoration he craved as a youth, but in the quiet and simple pleasures of fatherhood. And, though he wasn’t a typical immigrant, his story is certainly an immigrant’s tale. John Lennon came to New York City in 1971, seeking what every other immigrant who has washed up on its shores has sought: freedom — the freedom to be himself and not “Beatle John,” the freedom to love without the overwhelming public scorn he and Yoko had suffered in London, and, simply, the freedom to live a normal life. Lennon NYC tells this story with never before-released in-studio recordings, concert film only recently transferred to HD, and a trove of Lennon/Ono compositions — some in versions previously unheard. 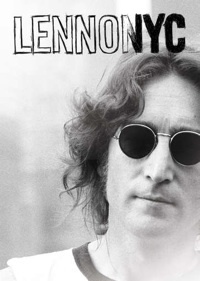 It also contains interviews with those closest to Lennon during this period in his life — friend and photographer Bob Gruen; musical collaborator and drummer Jim Keltner; May Pang, Lennon’s companion during his “lost weekend”; rock superstar Elton John; and Jack Douglas, the producer of Double Fantasy. Lennon NYC also contains one of the most powerful and emotionally direct interviews Yoko Ono has ever given. No film about John Lennon has ever covered this story with the same breadth and depth as Lennon NYC. As the public turns its attention to what would have been Lennon’s 70th birthday and the 30th anniversary of his murder, Lennon NYC uniquely commemorates the life of one of the most important and influential artists of the 2oth Century — someone whose life and work is as powerful and relevant today as it has ever been.